Pictures are up on the Ametsoc Facebook photo albums! Here’s just a sampling, from Sunday’s WeatherFest. Don’t forget to check back there for more updates later today and throughout the week. 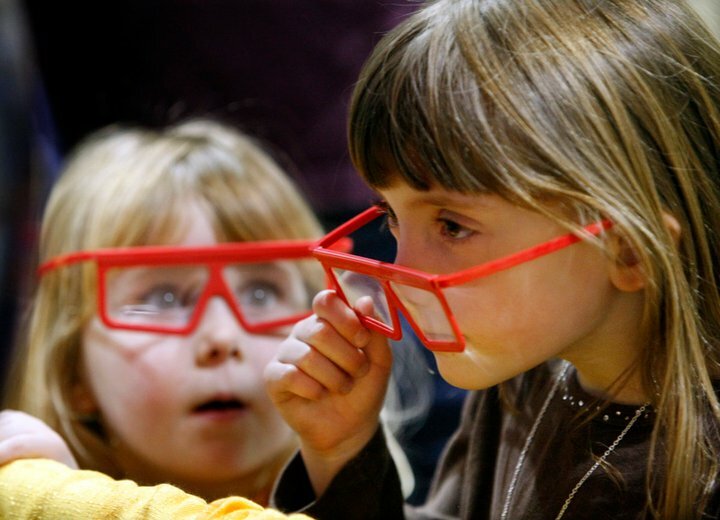 A young girl peeks over the top of her 3-D glasses as another looks on. The Seattle youngsters were taking in a 3-D animation of weather and climate at the University of Wisconsin-Madison booth. Miss United States Air Caitlin Taylor, University of Oklahoma, shows a Seattle teen how to build and use a air cannon at the 10th Annual WeatherFest. A brother and Sister from Snohomish, WA, participate in "Make Your Own Tornado" at the National Severe StormLab booth during the 10th Annual WeatherFest. 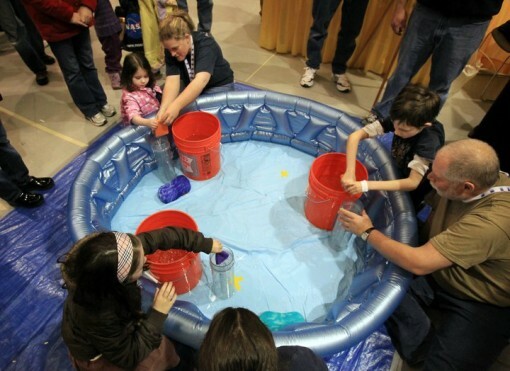 Children compete in a game of "Wring Out a Cloud" at the CoCoRaHS booth during WeatherFest. 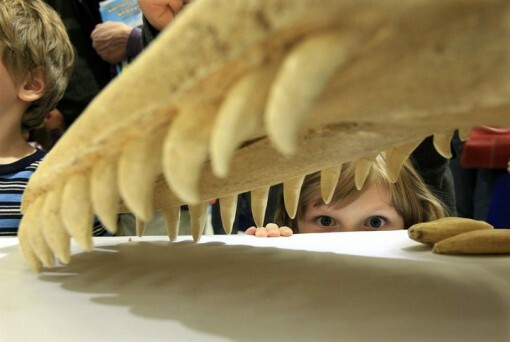 His eyes grow big and wide as a young boy from Gig Harbor, WA, gets a close look at the skeleton of a Orca in the Seattle Aquarium booth.